An Ohio drunk driving arrest is a serious matter. An Ohio DWI charge is a crime. A drunk driving conviction affects your livelihood, your financial security and your freedoms. Upon conviction your driver's license is immediately suspended. 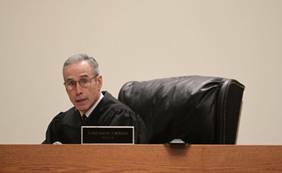 There are heavy penalties and fines and, in certain cases mandatory jail time. You will have to deal with the Ohio Bureau of Motor Vehicles and comply with their regulatory scheme to get your license back. Drunk driving is referred to in different terms and acronyms throughout the country. Some places call it “driving while intoxicated,” or DWI. Some states refer to it as “driving under the influence,” or DUI. Here in Ohio drunk driving is called “operating a vehicle intoxicated,” or OVI. Whether it is called DWI, DUI, or OVI, the charges are the same. That the defendant consumed alcohol, a drug, or a combination of alcohol and drugs in such a quantity that it adversely affected and appreciably impaired the defendant and deprived him of that clearness of intellect and control which he would otherwise have possessed. The question is what effect did the consumption alcohol, drugs, or a combination of alcohol and drugs any have. If the consumption of so affected the defendant so as to impair, to an appreciable degree, his ability to operate the vehicle, then the defendant was under the influence. 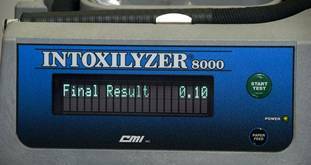 Another Ohio drunk driving charge that can lead to a Cincinnati, Ohio OVI conviction is the proven through the chemical test, commonly the breathalyzer, in having a blood alcohol level of .08 or greater. Some people mistaking call this the “legal limit,” however what it should be called, and is called is OVI “per se.” In other words unlike the “impairment” charge which is based upon the subjective observations of the arresting officer, a person can be convicted in Hamilton County, Ohio of OVI even if the person was driving safely and perfectly but yet the persons BAC was .08 or greater. If you have been charged in Hamilton County, Clermont County, Butler County, and Warren County, Ohio with a DUI/OVI you need a criminal defense lawyer today. Our Cincinnati, Ohio OVI defense lawyers will protect your rights, but time is of the essence. Stay out of jail, keep your Ohio driving privileges, and reduce your fines. Call our Ohio DUI lawyers today for a no cost, no obligation phone consultation.